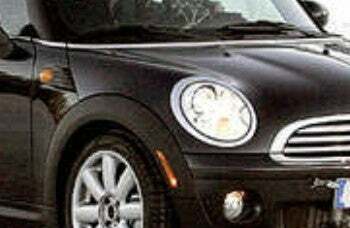 Ok, so insiders say the new Mini wagon will be called Clubman, not Traveller, and we've got no confirmation either way. So call it whatever you want, but don't call it late for the Frankfurt auto show later this year, the venue planed for its long-awaited debut. Until then, Auto Motor und Sport offers shots of a nearly socks-off prototype ready for its close-up. That is, unless it falls in with a rough crowd or ladies of the Bahnhofsviertel.